Purpose of this project is a) the evaluation of the Thrust Specific Fuel Consumption (TSFC) of jet engines in cruise as a function of flight altitude, speed and thrust and b) the determination of the optimum cruise speed for maximum range of jet airplanes based on TSFC characteristics from a). Related to a) a literature review shows different models for the influence of altitude and speed on TSFC. A simple model describing the influence of thrust on TSFC seems not to exist in the literature. Here, openly available data was collected and evaluated. 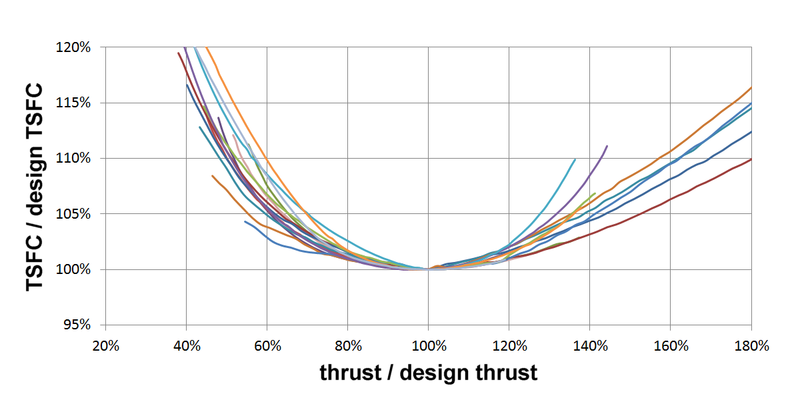 TSFC versus thrust is described by the so-called bucket curve with lowest TSFC at the bucket point at a certain thrust setting. A new simple equation was devised approximating the influence of thrust on TSFC. It was found that the influence of thrust as well as of altitude on TSFC is small and can be neglected in cruise conditions in many cases. However, TSFC is roughly a linear function of speed. This follows already from first principles. Related to b) it was found that the academically taught optimum flight speed (1.316 times minimum drag speed) for maximum range of jet airplanes is inaccurate, because the derivation is based on the unrealistic assumption of TSFC being constant with speed. Taking account of the influence of speed on TSFC and on drag, the optimum flight speed is only about 1.05 to 1.11 the minimum drag speed depending on aircraft weight. The amount of actual engine data was extremely limited in this project and the results will, therefore, only be as accurate as the input data. Results may only have a limited universal validity, because only four jet engine types were analyzed. One of the project's original value is the new simple polynomial function to estimate variations in TSFC from variations in thrust while maintaining constant speed and altitude. BENSEL, Artur, 2018. 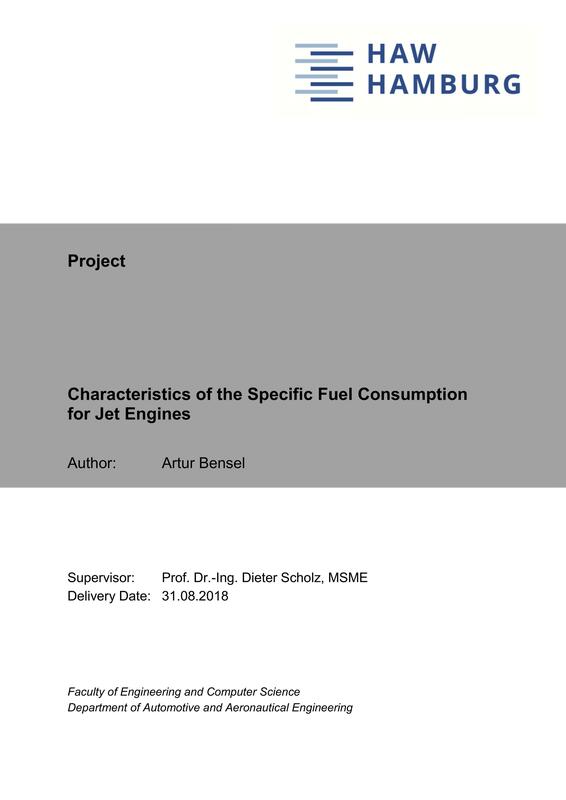 Characteristics of the Specific Fuel Consumption for Jet Engines. Project. Hamburg University of Applied Sciences, Aircraft Design and Systems Group (AERO). Available from: http://nbn-resolving.org/urn:nbn:de:gbv:18302-aero2018-08-31.016 [viewed YYYY-MM-DD].